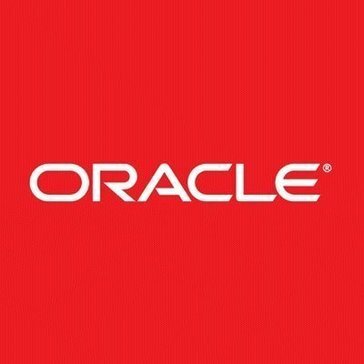 Work for Oracle Database Backup Service? Learning about Oracle Database Backup Service? "Highly reliable Cloud storage solution"
It is a convenient software for storing database backups in cloud. It is easily accessible when there is local errors caused and helps in recovery.It cause costs low that it doesn't cost any additional charges while using.The data can be accessed any time anywhere through internet.The database backup in this software is open that while backup it can be accessed also. I would highly recommend this software since it is very helpful for our company for years in backup data and secure them. I really don't have much negatives to come with but sometimes its shows technical errors hope the issues might be caused due to my internet issue. The other thing is since the database is open compared to closed database it sometimes feels discomfort. I would totally recommend this software to others as it is a very useful one providing data backup service. It is also a secure platform. Our company database is running actively so I'm very much satisfied with this software. It is a highly reliable cloud storage solution which is helping out our company is storing data backups. The data is kept secure that if need any old data to be recovered it is really helpful in backing up data. The Database Backup Service is a reliable and scalable service hosted on your data center or oracle cloud. Today data is a most valuable things rather then wealth of a company business aspects. We are using oracle database backup cloud service as DR solution. DR is a must implemented methods in recent days for data security. without DR method data center is always risky to run the operation with production process. So data backup policy is must implement policy and in this case Oracle Database backup service is very much useful features to secure your data. As we are using cloud service so network is an issue for some reason ; like we slow latency will hamper to get smooth operation. bandwidth and latency should smooth . Oracle Database backup service is most reliable , secured and scalable service and I strongly recommended to the stakeholder to use this product if you are really thinking about your data security and easy accessibility. DR system has implemented and a huge cost benefit effect with infrastructure and manpower involvement . data loss and data security both are consider with a safe zone. What Database Backup solution do you use? "User Friendly with lots of Resources"
I do truly think that once you get the hang of the system a bit, it is very user-friendly, easy to use. Having said that, I think at first impression, any software can be challenging, especially when we know our jobs are at stake. The resources, training, user manuals (printable & pdf) make this process very smooth. If I had to think back to when I first was introduced to the software, I was extremely grateful for the amount of material & resources available on the website accessible to anyone, but at first glance, I think seeing all these different software displayed and broken down into so many different modules could be overwhelming to look at first before you know what purpose this will serve you to hone in at that more. Lower exposure to Risk, and higher productivity levels due to fewer glitches, software incompatibilities, server issues, etc. DBAs have with disk-based backup is that it is not specific to the database. The above is the only thing which I dont like about this. - It's secure with best data protection and privacy policies. - It's reliable to ensure that your data is available when ever required. - It's range of capabilities & capacity on demand to eliminate storage hardware. - It's very simple & transparent backup management. - RMAN for seamless backup and restore operations. Oracle Database Backup Service is a secure, scalable, on-demand storage solution for backing up your Oracle databases to the cloud. "Reliable and Scalable Great Databackup Service"
Oracle Database Backup Services is a reliable and scalable service hosted on your oracle cloud System.Oracle Database Backup Service Is great option to secure your data Oracle Database is best Unauthorized user not access the data Oracle Database very simple, securable,transparent,Database cloud backup module. I dislike about only one that it’s many time process to backup storage and size limitation .It’s very time consuming expensive storage requirement. I would recommend using Oracle Database Backup Service as it is very easy to use, secure, scalable, on-demand storage solution for backing up your Oracle databases. Our Company Oracle Database Backup Service using to backup our data.This is great tool because it is automatically backup no man participation required saved lot of time and money. The benefit I realized is that it is very reliable. "Great Software / Excellent Solution Provider"
if you're catch in the middle of the back up process, the computers turn kind of slower, which is understandable, however, you can void this issue by scheduling the back-up at early morning hours or late hours, instead of regular business hours. "Review of Oracle Database Backup"
I like that this feature is able to safely secure the database to protect sensitive information. Having this backup in place in case of emergencies promotes peace of mind. Differences between consistent and inconsistent backing up (both effects and processes) can be confusing at first, but is easy to figure out overall. The service is very flexible - take advantage of the variety offered with the service. This service acts as a reserve or safety net in the case of emergency situation, where data could otherwise be lost. "Excellent Service for Backing up entire Oracle DB irrespective of the Size & Expansion "
"Excellent tool for the buckup service of business intelligence applications." Amazing database Buckup service the executives framework. It has an incredible similarity with other advancement stages and encourage the procedure of improvement of business applications and very secure. support, ease back to reaction and when I have a high case I would do well to reaction outside with non prophet consults. lots of features and ease of use. Best securely backup service our value data. User Friendly: The tool quite simple to use and easy get yourself out of a soup. Efficient: The tool rarely crashes and barely any downtime. I have not found any major flaws as such, but they can do better with the font. Using the software I am working on the servers migrated to cloud. I take up any issues faced during this migration. The Oracle Database Backup Service is a great product if you have your data warehouse solution in Oracle. This is useful for transferring or backing up data to Oracle cloud. The best thing is they have easy to download moduled and installation and have some encryption options available. The disadvantage is as of now or at the time I used it allowed backup to only Oracle cloud. There was no option available to migrate to other cloud providers like Amazon and Microsoft. Used it for migration project to cloud. Oracle is great at backing up data most of the time. I use it with Java in a Government system. If the system is down for our collections server Oracle base does not work separately, but together. Oracle is a large improvement over the Java based platform which froze a lot. "Oracle DBS and it's Level of Functionality"
Almost any program that interfaces with Oracle is going to be functional, practical, and somewhat simple to use with minimal training. Sometimes the Oracle interface has "hiccups" in processing time and stability. A lot of this was maintained and communicated in the management level as I was a basic user. "Un muy buen servixcio de copias de seguridad"
I really like that I can access my data at any time very efficiently and at the top of my fingers. I dislike that at times it seems a bit slow when I try to pull too much data at once. We are solving a quicker way for our team to access important information from anywhere in the US. Instead of having to use our shared drive and running the risk of not saving things, we can use Oracle database backup service. Licensing cost is too high. Too complex systems and need people with exact skillset to manage. "Perfect Backup Service by Oracle"
Its very easy to use and does it work as it describes. As per the price point of view it seems to be little on the costly side. I would recommend using Oracle Database Backup Service as it is very easy to use and goes very well with the existing database setup. Our day to day backups are done using this tool automatically no man intervention required, saves money and time. Secure reliable backups. Quick restores. secure storage, works fast. Able to access and save any order that I need to go back to. It organized the system for my products making them easier to access. "Database has all functions, and everything is so easy to use. " Everything is self explanatory Ease of use, and simplicity of functions. Sometime freezes up, but that anything. Client storage, payment processing, document storage. Very easy to use compared to the conventional methods of backing up. Before this service we had to manually set backups, but now it is much easier. No issues yet, only thing we are locking more into is higher level of security with the backing up. "A reliable and scalable object storage solution for storing and accessing your ever-growing Oracle D"
It is very scalable which I like the most. It's a time consuming process as it takes a lot of time to backup. Our Company uses Oracle Database Backup Service to backup our data. The benefit I realized is that it is very reliable. Software is so easy to use and it is really helpful. it is kind of expensive and when you install kind of complicated. i can use for editing the pictures or documents and create more things. "USE of Oracle DBCS back up service"
It requires lot of configuration and sometimes instal oracle backup module to use with cloud. I like that Oracle is very people friendly. I dislike that oracle’s interface is not too pretty. Oracle has helped us to keep our payroll and HR information in one space. That you can access the data from anywhere at anytime. At this point there is nothing that I dislike. We are lowering the risk to exposure. There are fewer glitches. * We monitor all Oracle Database Backup Service reviews to prevent fraudulent reviews and keep review quality high. We do not post reviews by company employees or direct competitors. Validated reviews require the user to submit a screenshot of the product containing their user ID, in order to verify a user is an actual user of the product. Hi there! Are you looking to implement a solution like Oracle Database Backup Service?